Pharmacy technicians play an integral role in the pharmacy as they assist licensed pharmacists with the distribution of medications to patients, provision of customer care, and assumption of administrative duties within the pharmacy operation. Core duties include screening medication orders for accuracy and completeness, using pharmacy software to maintain accurate patient records, performing calculations in the preparation of prescriptions, packaging and labeling of orders, retrieving, counting, pouring, weighing, and measuring medication to prepare prescriptions for verification, operating the cash register and processing insurance claims. Pharmacy technicians must comply with the procedures and policies that govern practice. 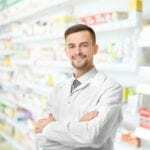 They work in a variety of health care settings, including hospitals, clinics, retail pharmacies, long-term care, home infusion pharmacies, and pharmaceutical manufacturers. The employment projections indicate an increase in job openings of 12% from 2016 to 2026. The projected increase is due to the rise in the middle-aged and elderly population many of whom are suffering from multiple chronic conditions. 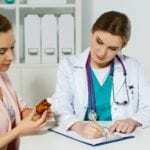 Scientific advances leading to the development of new drugs will also spur demand for more capable professionals who are able to dispense medications to those in need. The pharmacy technician program at Anoka-Ramsey Community College supports the development of clinical skills by giving students lots of hands-on opportunities in the classroom and lab. Before enrolling in the program, some students must need to complete preparatory courses in English, mathematics, or reading. The goal of the program is to help students evaluate the principles and trends in pharmacy, understand the normal structure and function of the human body, perform pharmaceutical calculations, understand their role as a pharmacy technician, and practice within the ethical guidelines of the pharmaceutical industry. Course topics include introduction to pharmaceuticals, pharmacy communications, pharmacy medications lab, drug use and reactions, pharmacy administration, medical billing, and pharmacy technician internship. General education courses include medical terminology, medical ethics, introduction to healthcare careers, and the human body structure and function. To graduate from the program, students must complete a minimum of 27-semester credits with a minimum cumulative GPA of 2.0. Complete an application for admission to the Certificate program. Complete the health and background check requirements. Students must furnish proof of meeting the health and background study requirements for participation in the pharmacy practicum. Each clinical site may have specific requirements to ensure patient health and safety. Tuition for the 12-month program is $4,478. Books and supplies cost an additional $1,080. The Pharmacy Technician Diploma at Hennepin Technical College requires completion of 38 credits. The ASHP-accredited program includes classroom theory and practical learning experiences in a simulation lab and real-world pharmacy. Students acquire an understanding of the role and functions of a pharmacy technician and develop practical skills to assume an entry-level position under the direction of a licensed pharmacist in hospitals, clinics, and retail pharmacies. At the conclusion of the program, students will be able to practice within the policies and procedures that govern pharmacy technicians, perform the duties in line with their role, apply their knowledge of sciences for effective practice, prepare and interpret pharmacy orders, and communicate with patients, health care providers and other members of the pharmacy team. Course topics include medical and pharmacy terminology, pharmacology, pharmacy law and ethics, pharmaceutical calculations, principles of pharmacy practice, and principles of pharmacy practice. Students also learn human biology, chemistry, anatomy and physiology, pharmacotherapy and epidemiology, and interpersonal communication. Graduates are prepared to set the Pharmacy Technician Certification Board exam, which is necessary for certification. A health exam and criminal background check may be required for participation in the pharmacy externship. Tuition for the 16-month program is $6,531. Books and supplies cost an additional $2,533. St Paul College’s pharmacy technician program culminates with a Diploma or AAS degree depending on the student’s former education. The curriculum comprises of classroom theory and practical experiences to prepare students for employment as a pharmacy technician. Graduates of the AAS program will have the foundation preparation to transfer to a college or university to complete a bachelor’s degree. Course instructors cover the necessary academics and experiential requirements that enable graduates to qualify for registration in Minnesota. They are also prepared for success on the PTCB exam to become Certified Pharmacy Technicians. The program is available in hybrid, traditional and online class formats. All students must complete hands-on training in the school’s state-of-the-art lab. 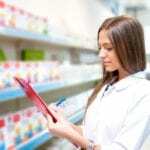 Course topics include medication safety, prescription dispensing, reading and interpreting medication orders, laws governing practice and the pharmacy operation, and operations in retail and institutional pharmacies. Other topics include pharmacotherapy of the disease process, healthcare communication, psychology through the lifespan, sterile and non-sterile compounding, and aseptic technique. The diploma program requires completion of 35 credits. Tuition for the program is $6,368. Students should expect to spend an additional $750 to cover the cost of fees, books, supplies, parking, liability insurance, and uniforms.